We've been having a great week enjoying Christmas things. The Nativity Performance was wonderful and the Church Carol Service too. The choir have been brilliant. 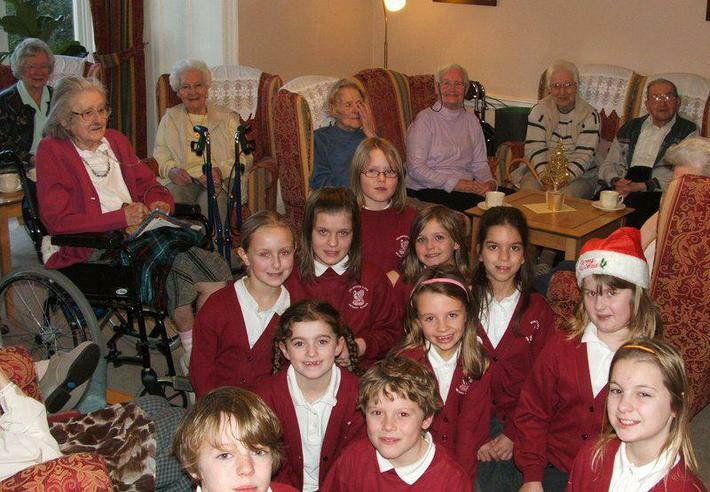 They've sung at the Pyramid Carol Concert and for the residents of The Old Rectory. Here's a picture of them with the ladies and gents.